ZNA NorCal 2014 Koi Show Announced! 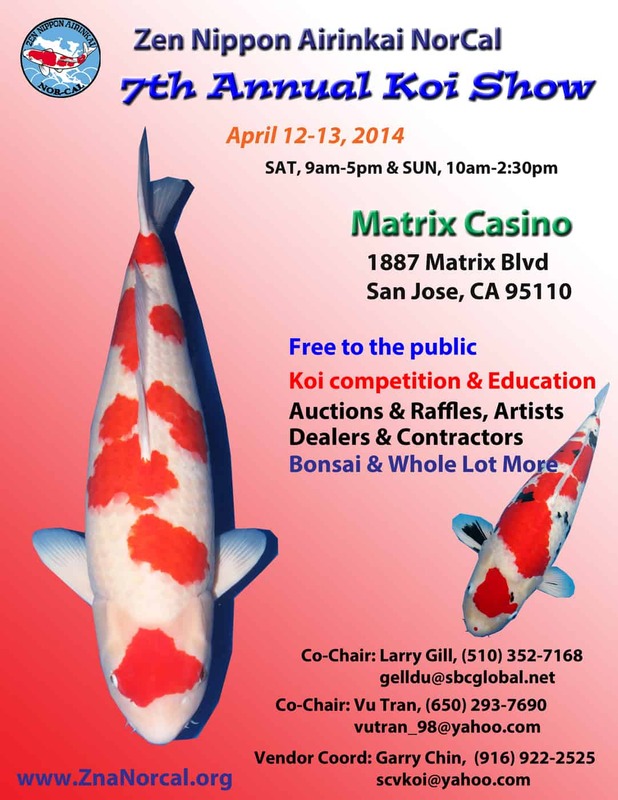 The ZNA NorCal 2014 Koi Show has been set up for next year! The show will be April 12-13, 2014 in San Jose, CA. Join us for lots of koi and fun!